I searched and searched online for the perfect green polka dot print stretch knit fabric, but was just not finding anything that I liked. I did, however, have this white spandex lycra knit in my stash and a bucketful of fabric paint! I figured, why not just paint them myself? I’m glad I did because the finished result was super cute! Painting the polka dots on the fabric was really very quick and easy. I have a couple more yards of this fabric left over and can’t wait to make a few more items. 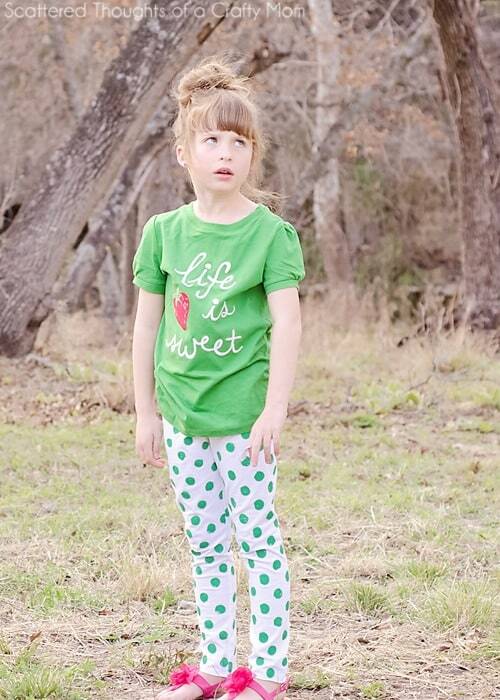 The pattern I used for the leggings is free and in sizes 3 to 12. (Get it here.) Want to try painting fabric yourself? I have just a couple of tips/reminders to share. 1. To keep my polka dots from looking messy, I used my ruler and fabric marker to draw lines in a grid pattern. It took a few extra minutes to draw the lines, but it was worth it based on how nicely lined up the polka dots turned out. 3. 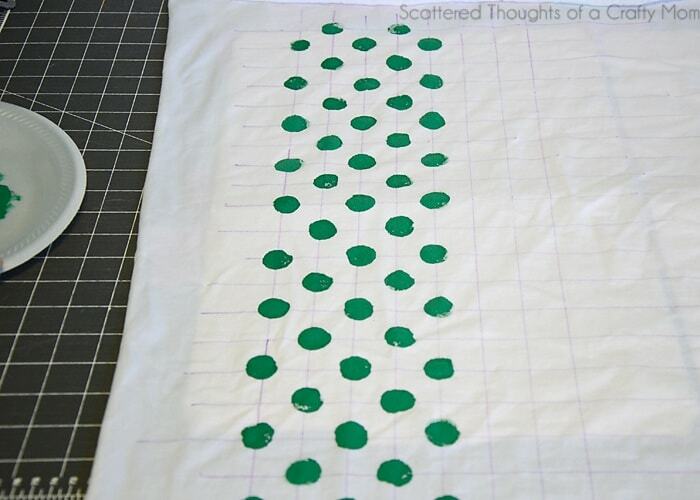 Follow the fabric paint directions on drying time and sew the pattern up as normal! Oops, mom just took one picture too many! 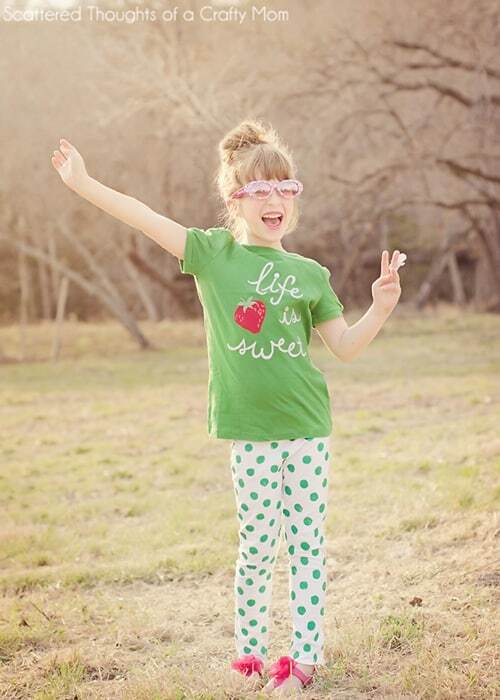 No close-ups pictures of the pants today, they are very happily traveling to Grandma’s for Spring Break! Whoo hoo! These polka dots are amazing! Thank you for sharing! I'd love for you to check out our Pattern Party! Those with patterns and templates to share are invited to link up! These are soo cute!! What a great idea!! I love them, how did they wash up? Is the paint areas stiff? How adorable! I'm a big polka dot fan, too! 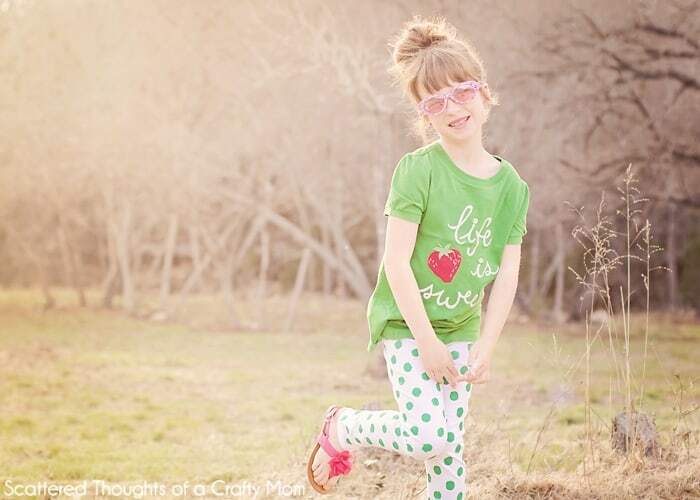 Love the photos of your little model, too. I'd be thrilled if you'd link up at this week's Off the Hook! CUTE!!! I think my girls would love this! 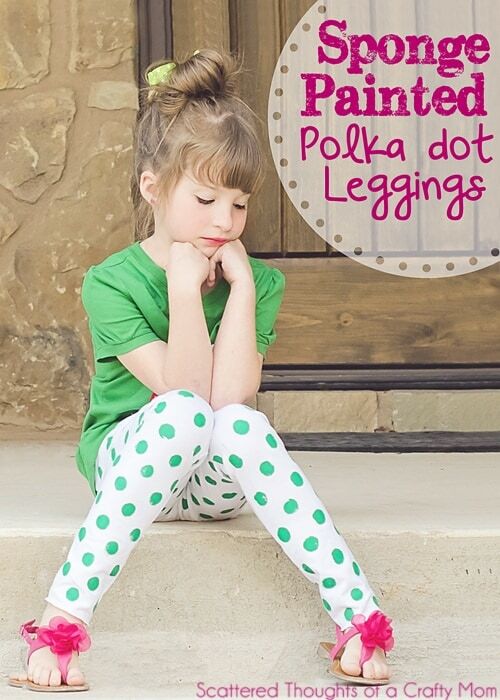 I was just stopping by and loved your post on the girls pocka dot leggings!! They look so easy to make. I have some nieces that would love something like this!! Cute! I've been wanting to do this with tights! !